Republican presidential nominee Mitt Romney is telling top donors that U.S. President Barack Obama won re-election because of the "gifts" he had already provided to blacks, Hispanics and young voters and because of the president's effort to paint Romney as anti-immigrant. "The president's campaign, if you will, focused on giving targeted groups a big gift," Romney said in a call to donors on Wednesday. "He made a big effort on small things." 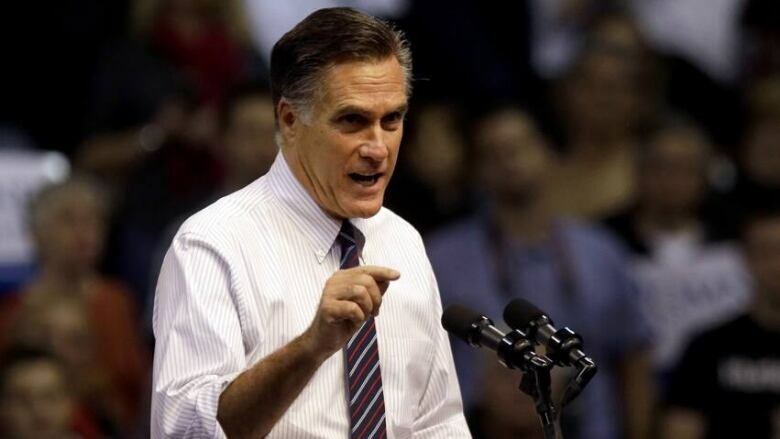 Romney said his campaign, in contrast, had been about "big issues for the whole country." He said he faced problems as a candidate because he was "getting beat up" by the Obama campaign and that the debates allowed him to come back. In the call, Romney didn't acknowledge any major missteps, such as his "47 per cent" remarks widely viewed as denigrating nearly half of Americans, his lack of support for the auto bailout, his call for illegal immigrants to "self-deport," or his change in position on abortion, gun control and other issues. He also didn't address the success or failure of the campaign's strategy of focusing on the economy in the face of some improvement in employment and economic growth during the months leading up to Election Day. Obama won the popular vote by about 3.5 million votes, or 3 per cent, and won the Electoral College by a wide margin, 332-206 electoral votes. Exit polls conducted for The Associated Press and television networks showed that Obama led Romney by 11 percentage points among women and won better than seven of 10 Hispanic voters and more than nine of 10 black voters. Romney called his loss to Obama a disappointing result that he and his team had not expected, but he said he believed his team had run a superb campaign. He said he was trying to turn his thoughts to the future, "but, frankly, we're still so troubled by the past, it's hard to put together our plans for the future." Romney's finance team organized the call to donors. A person who listened to Romney's call provided details about it to The Associated Press on condition of anonymity because the call was private. The Los Angeles Times first reported Romney's remarks. Young voters, Romney said, were motivated by the administration's plan for partial forgiveness of college loan interest and being able to remain on their parents' health insurance plans. Young women had an additional incentive to vote for Obama because of free contraception coverage under the president's health-care plan, he said. "I'm very sorry that we didn't win," he told donors. "I know that you expected to win. We expected to win. We were disappointed; we hadn't anticipated it." Romney said he and his team were discussing how his donor group could remain connected and have an influence on the direction of the Republican Party and even the selection of a future nominee — "which, by the way, will not be me." Asked about Romney's remarks, Louisiana Gov. Bobby Jindal, a potential contender for the Republican nomination in 2016, strongly condemned those in the party who classify voters based on income, race or age and said the party cannot concede wide swaths of voters and expect to win elections. "We have got to stop dividing the American voters," Jindal told reporters in Las Vegas, where the Republican Governors Association was meeting. "We need to go after 100 per cent of the vote, not 53 per cent. We need to go after every single vote."